Hear ye, hear ye! It's January 31, and that means it's time for the 2nd Annual SFR Galaxy Awards! It's Rocco the Cat's 3rd Blogoversary, yay! Rocco is the fine feline owned by author Toni LoTempio (MY SUPERHERO SISTER). 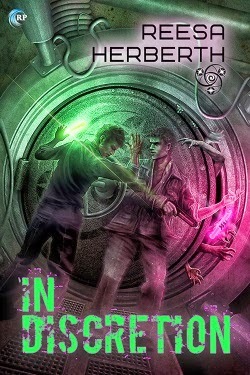 I'm at his blog with a sci-fi romance giveaway. Be the first to solve the puzzle and you'll win a print copy of Sharon Lynn Fisher's GHOST PLANET! Second prize is a choice of two titles from my back list. See you there! Gregori’s last mission is to protect Earth from the demons threatening to take control. He doesn’t care if he survives as long as he averts the impending apocalypse—until he meets Adelita, a human refugee, whose spirit and determination give him a renewed reason to fight. And live. He’s falling for her, despite the fact he’s told her nothing but lies and there can’t possibly be a future for them. Adelita can hardly believe the archangel Gregori, sent to defend mankind, has lost his faith and his edge. After he rescues her from a demon attack, she vows to help him recover both by any means necessary. But can she keep her own faith when she learns the truth about who and what Gregori really is? And is that an Alex Ross inspired cover, or what?! The style is a neat twist. ANGELI is the first in the author's new Maelstrom Chronicles. It's a post-apocalyptic, alien invasion science fiction romance with a light comedic touch. 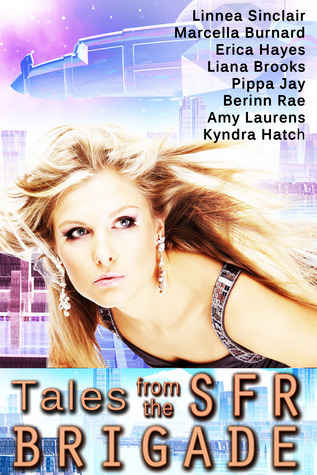 It'd make a great cross-over story for paranormal romance readers who want to give SFR a try for the first time. ANGELI is a fun story (I read an advanced copy, and as you'll note on the cover, that's my blurb! ), and I particularly enjoyed the social commentary zingers sprinkled throughout. Nobody does 'em like Jody Wallace, so I invited the author aboard for a chat about her new series! My latest Heroes and Heartbreakers post is about alien heroines in science fiction romance. More specifically, why don't we see more of them? For about the next 2-3 months, The Galaxy Express will run on a semi-regular schedule. A temporary, but time-consuming situation in my personal life means blogging will have to be light. Starting the week of February 1, posts will drop down to about one per week. I still plan on writing my monthly steampunk romance column for Coffee Time Romance and will continue to work behind the scenes of the Sci-Fi Romance Quarterly (the next issue will release February 28, 2014). I'll still have access to my email and being online, but those activities will be mostly limited to the evenings. So if I take longer than usual to respond, it's only because of my new schedule. Thanks in advance for your patience! Can SF/Sci-Fi Romance Stories Be Described Without Sacrificing Uniqueness? But as a kid, I let it slide. I didn’t want the attention anyway. I felt incredibly embarrassed that I was writing about fake rebellions in made-up countries while my friends were studying to be architects. They were going to build real, adult things. I was going to write about trolls’ hair and dragons’ gold. When I published my first novel 20 years later, I found myself faced with the same challenge: how do I talk about this book to people whose entire conception of science fiction and fantasy are built around Star Wars and The Hobbit? How do I convince folks that stories about the dissolution of a marriage in Montreal in 2155 are just as serious an endeavor as writing about the dis­solution of a marriage in Montreal 1955? A few months ago, I'd read Eva Lefoy's stories in TENTACLES: AN ANTHOLOGY. This collection features four tentacle-themed science fiction and fantasy shorts (light horror elements, non-romance). The author penned "Solar Pioneer" and "Zaural." 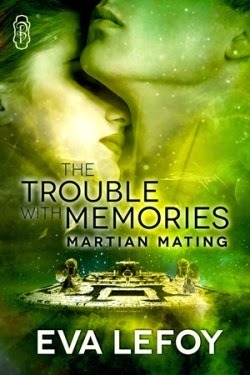 I enjoyed them both, and was subsequently jazzed to learn she has a new science fiction romance out called THE TROUBLE WITH MEMORIES (Decadent Publishing). It's the first in her Martian Mating series. You can enter for a chance to win a PDF copy of this novella-length story! Details follow the cover, blurb, and my non-spoiler tags. The team behind TALES FROM THE SFR BRIGADE is running a giveaway now until February 14, 2014. 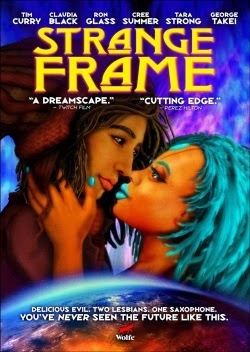 Up for grabs is a rare print edition of this unique, labor-of-love science fiction romance anthology! Y'all know how much I love Boggle, a character from PJ Schnyder's HUNTING KAT (Carina Press). It's love, I tell you. Can't get enough of the guy. 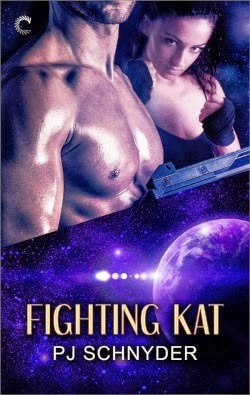 Well, I learned he's going to make an appearance in the author's latest Triton Experiment novel, FIGHTING KAT! 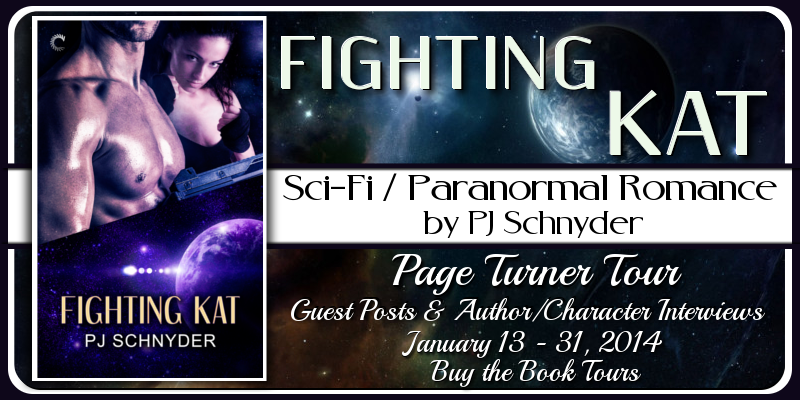 Click here to read an excerpt of FIGHTING KAT and for details about the author's swag giveaway! 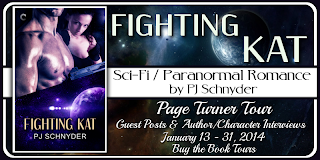 And now, a guest post from PJ Schnyder! A part of the adventure in writing science fiction romance is building a universe with countless worlds. And within those worlds are characters. People just like me. People who use public transit because it makes sense, even if their public transit is a space ship. Who randomly stroll through the park after work because it was a long week, even if that park is contained within a dome of a lunar space station. Who can't wait to have a drink with some friends at Syn's bar on Dysnomia Station. People, being people, regardless of what solar system they live in or what planet their species came from. And yet, they're different too. Their origins and beliefs, the environments that shaped who they are, the cultures in which they were nurtured. Kaitlyn was raised in a very human environment, one we're familiar with in many ways. She lived with her parents, attended school, had plans for university. The incident on Triton Moon Base changed her life forever. Rygard's past is not quite so clear...yet. But I learned a lot about each of them when I sent them into the arenas and forced them to fight. And they learned about each other. The arenas became a crucible and they were not the same when they emerged. 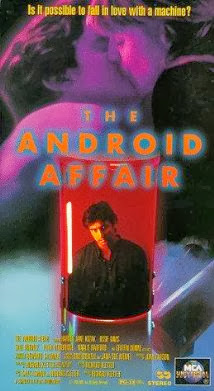 I got a hot tip from Galaxy Express passenger P. about a sci-fi romance film called THE ANDROID AFFAIR. Sure, it came out way back in 1995, but why let that stop us from checking out another SFR celluloid adventure?! 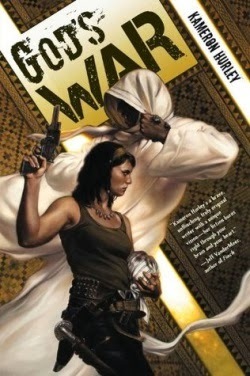 Kinara crosses into Az-kye space seeking revenge but her act of vengeance goes horribly wrong when her ship is captured. Defeated and enslaved Kinara offers herself to Aidar, the Az-kye commander, in exchange for her crew's protection. But this warrior wants much more than just her submission, he wants her to give herself completely . . . 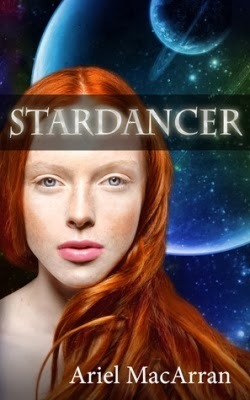 If you've read STARDANCER, what spoiler-free tags can you supply? Welcome to 2014! May the coming year deliver a delightful mix of science fiction romance adventures to you. 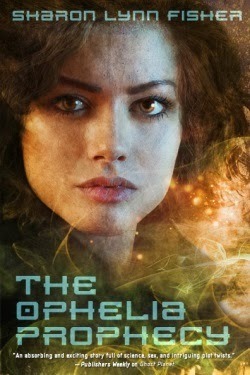 I’ve compiled a list of science fiction romance books that will release in 2014. This list is a work in progress; I’ll update it throughout the year as more titles become available. I divided the titles by month of release and listed them alphabetically by author. For future reference, go to the TGE sidebar under “SFR New Releases” and click “2014 Releases” to reach this year’s list. If you know about titles that belong here, please leave a comment or email me (Heather): sfrgalaxy “at” gmail dot com.